Fire related articles written by the author. No. 1.: Working Fire from CeramicsTECHNICAL No. 31 2010. ‘Fire is a living element being both as intimate as it is universal – living in our hearts and in the sky. It rises from the depths with the warmth of love, or it can retreat and hide, latent and pent-up with hate and vengeance’. 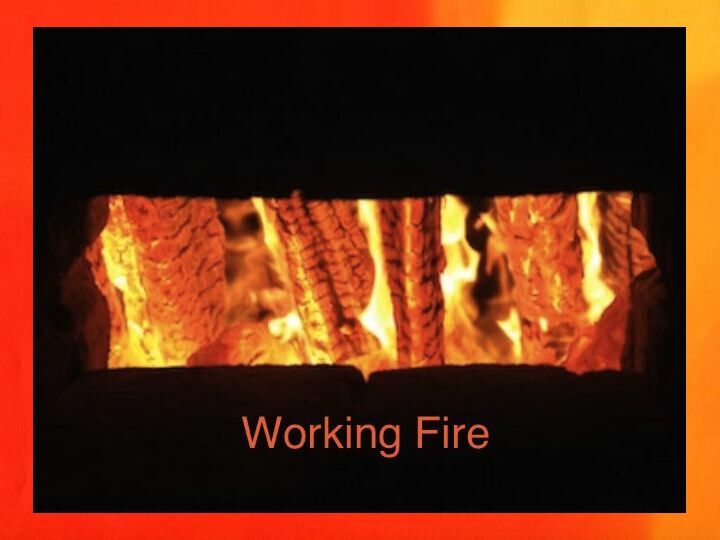 Read the rest of this article at: WorkingFire – Ceramics:TECHNICAL. No. 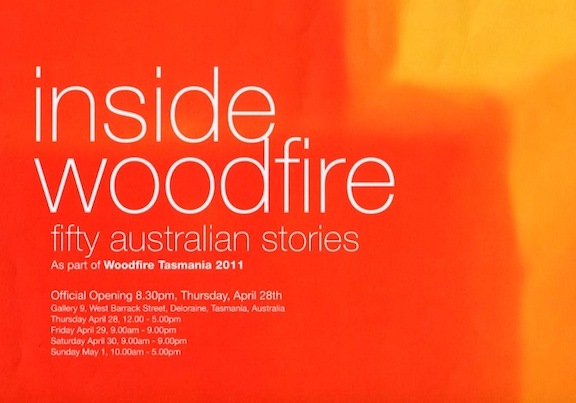 2.: inside woodfire: fifty australian stories from the exhibition curated by Ben Richardson for Woodfire Tasmania 2011. Including the essay friendly fire by Penny Smith. 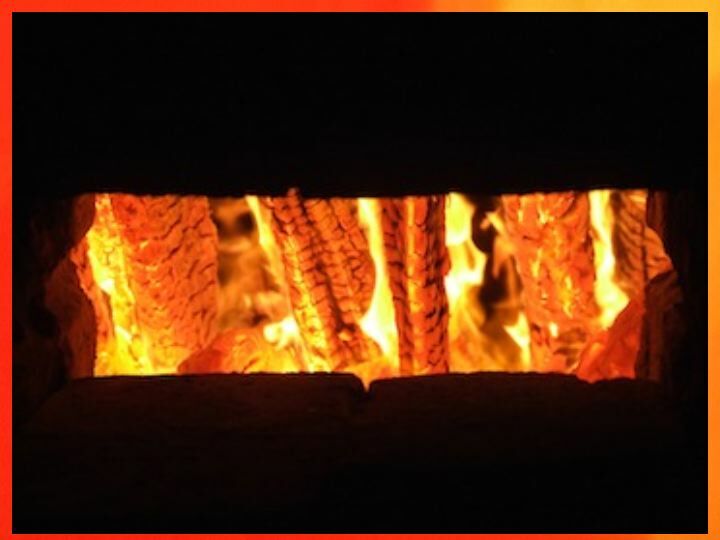 Read Dr. Owen Rye’s The Art of Woodfire: A Contemporary Ceramic Practice. No. 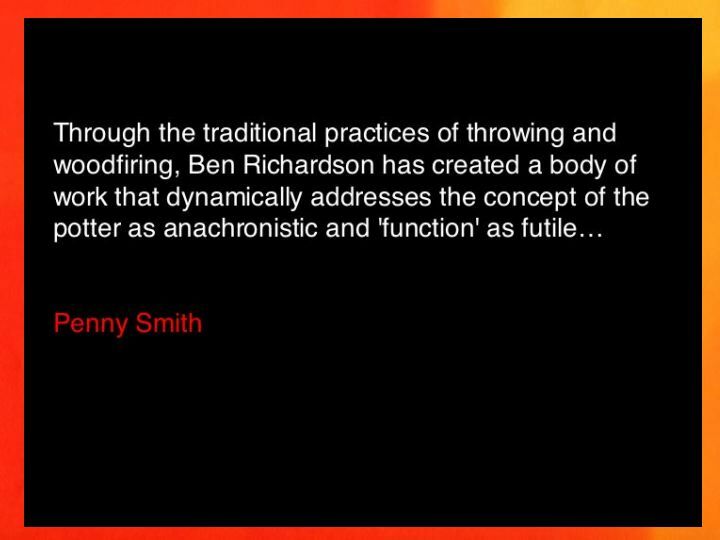 3.: Fire Works a video that documents the art of Tasmanian potter, Ben Richardson. 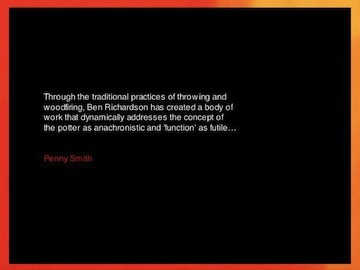 Framed in conversation with colleague Penny Smith, ‘Fire Works’ examines, challenges and celebrates Ben’s dedication to making site-specific, wood-fired ceramics. Produced in Southern Tasmania, Australia, with assitance from Arts Tasmania. Direction/Camera/Edit – Glen Dunn. Music/Sound – Jethro Woodward. 24.5 minutes. April, 2010. No 4: Playing with Fire an article in issue no. 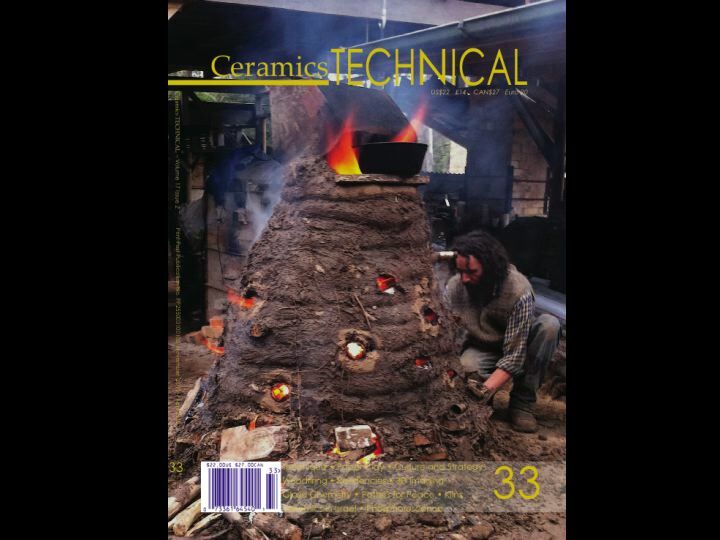 33 of Ceramics:TECHNICAL about the ingenuity of Yuri Wiedenhofer as a kiln builder and ‘fire performer’ on the occasion of the Woodfire Tasmania 2011. Cooking with Fire and Clay Pots. Food Foraging in the Wild. Grab Your Fork Sydneysider Helen Yee’s food blog. Island Menu Sam & Cat’s fab fresh take on Tassie food. Life on Nanchang Lu Expat Aussie Fiona Riley’s life in Shanghai. Not Quite Nigella Lorraine Elliott foodie from Sydney. Provenance Growers Paulette Whitney’s grower’s site, Neika, Tas. Slow Food Hobart Hobart convivium of Slow Food. The Forager's Year A flat dwelling Sydneysider who food forages. The Low Fodmap Gourmet Mhyrlyn’s gourmet recipes.